Unit 1504, 15/F., Carnival Commercial Building, 18 Java Road, North Point, Hong Kong. Indicate by check mark whether the registrant is large accelerated filer, an accelerated filer, a non-accelerated filer, or a smaller reporting company. See definitions of “large accelerated filer”, “accelerated filer” and “smaller reporting company” in Rule 12b-2 of the Exchange Act. The aggregate market value of the voting and non-voting common stock of the issuer held by non-affiliates computed by reference to the price of the registrant as of June 30, 2017 was approximately $17,818,415 based upon the closing price of $20.005 of the registrant’s common stock on the OTC Bulletin Board. (For purposes of determining this amount, only directors, executive officers, and 10% or greater stockholders have been deemed affiliates). The number of shares of Registrant’s Common Stock outstanding as of December 31, 2017 was 19,252,448. Certain statements made in this Annual Report on Form 10-K are forward-looking statements (within the meaning of the Private Securities Litigation Reform Act of 1995) regarding the plans and objectives of management for future operations. Such statements involve known and unknown risks, uncertainties and other factors that may cause actual results, performance or achievements of ZZLL Information Technology, Inc. (the Company) to be materially different from any future results, performance or achievements expressed or implied by such forward-looking statements. The forward-looking statements included herein are based on current expectations that involve numerous risks and uncertainties. The Companys plans and objectives are based, in part, on assumptions involving the continued expansion of business. Assumptions relating to the foregoing involve judgments with respect to, among other things, future economic, competitive and market conditions and future business decisions, all of which are difficult or impossible to predict accurately and many of which are beyond the control of the Company. Although the Company believes its assumptions underlying the forward-looking statements are reasonable, any of the assumptions could prove inaccurate and, therefore, there can be no assurance the forward-looking statements included in this Report will prove to be accurate. In light of the significant uncertainties inherent in the forward-looking statements included herein, the inclusion of such information should not be regarded as a representation by the Company or any other person that the objectives and plans of the Company will be achieved. As used throughout this Annual Report, the terms ZZLL, Company, we, us, our or Registrant refer to ZZLL Information Technology Inc. and its subsidiaries. ZZLL Information Technology, Inc. (The Company) was incorporated under the laws of the State of Nevada on September 9, 2005, under the name of JML Holdings, Inc. The Company merged with Baoshinn International Express, Inc. (BSIE) on March 31, 2006, by acquiring all of the issued and outstanding common stock of BSIE in a share exchange transaction. We issued 16,500,000 shares of our common stock in exchange for 100% of the issued and outstanding shares of BSIE common stock. The transaction was accounted for as a recapitalization of BSIE whereby BSIE is deemed to be the accounting acquirer and is deemed to have adopted our capital structure. On June 17, 2015, Baoshinn Corporation had been amended to the name Green Standard Technologies, Inc.. On May 27, 2016, ZZLL Information Limited acquired 4,992,500 common shares of the Company through a private Common Stock Purchase Agreement for investment purposes in the ordinary course of business. The aggregate number and percentage of common shares of the Issuer beneficially owned by Mr. Wei Liang is 4,992,500 common shares, or approximately 26.662% of the 18,725,003 issued common shares. On June 14, 2016, Wei Liang (Mr. Liang) was appointed to serve as a member of the Board of Directors of ZZLL Information Technology, Inc.
On June 24, 2016, ZZLL Technology Limited acquired 4,895,000 common shares of the Company through a private Common Stock Purchase Agreement for investment purposes in the ordinary course of business. The aggregate number and percentage of common shares of the Issuer beneficially owned by Mr. Wei Zhu is 4,895,000 common shares, or approximately 26.142% of the 18,725,003 issued common shares. On August 18, 2016, the Company through SAL entered into a Joint Venture Agreement (JVA) with Network Service Management Limited, a Hong Kong company (NSML) in the formation of Z-Line International E-Commerce Company Limited (Z-Line), a Hong Kong based e-Commerce company. The Company through SAL owned 55% of Z-Line that provides consumer-to-consumer, business-to-consumer and business-to-business-sales services via web portals. On August 25, 2016 and September 20, 2016, the Company issued 6,696,500 common shares and 32,000,000 common shares to the officer respectively. The issuance with an aggregate of 38,696,500 common shares in lieu of $193,483 compensation to the officer under an option resolved in 2013 to pay the officer by common stock in lieu of cash at a rate of $0.005 per share. On November 10 and December 1, 2016, the Company further issued 1,000,000 common shares and 15,400,000 common shares to the officer respectively. The issuance with an aggregate of 16,400,000 common shares were in lieu of $82,000 in compensation due to the officer under an option resolved in 2013 to pay the officer by common stock in lieu of cash at a rate of $0.005 per share. Effective on October 5, 2017, the Company executed a reverse stock split pursuant to which fifty (50) shares of the Companys Common Stock, par value $.0001 per share, issued and outstanding, was reclassified as and changed, into one (1) share of the Companys outstanding Common Stock. On October 13, 2017, the Company issued 15,753,500 common shares to the officer. The issuance of 15,753,500 common shares was in lieu of $78,768 in compensation due to the officer under an option granted in 2013 to pay the officer by common stock in lieu of cash at a rate of $0.005 per share. On December 12, 2017 the Company issued 2,022,500 shares of units consisting of its common stock and a warrant (the Units). The units were issued to five shareholders at a rate of $0.04 per Unit. The warrant exercise price is $0.05 for one common share valid for a two years period after the subscription date. The total consideration for the issuance was $80,900. On January 31, 2018, the Company issued 475,000 units consisting of its common stock and a warrant (the Units) to two shareholders at a rate of $0.04 per Unit. The warrant exercise price is $0.05 for one common share and it is valid for a two years period after the subscription date. The total consideration for the issuance was $19,000. On March 23, 2018, the Company issued 550,000 units consisting of shares of its common stock and a warrant (the Units) to three shareholders at a rate of $0.04 per Unit. The warrant exercise price is $0.05 for one common share and it is valid for a two years period after the subscription date. The total consideration for the issuance was $22,000. Syndicore Asia Limited (SAL) is a wholly owned subsidiary of the Company formed under the laws of Hong Kong. SAL is an online media company that syndicates video in a cloud-based, multimedia conduit serving a growing, global community of content creators, news outlets and leading brands. SAL will be a provider of syndicated video media to news organizations in the Asia Pacific region. In addition, SAL plans to aggregate content from the Asia Pacific region and provide it to news organizations around the world. On December 15, 2013, SAL entered into a Distribution Agreement (the Distribution Agreement) with SendtoNews Video, Inc., a British Columbia company (STN). Under the terms of the Distribution Agreement, SAL was granted an exclusive license to use, modify, edit, reproduce, distribute, feed, store, communicate, display, and transmit STNs content in the Asia Pacific Territory (the Content). STN is the content provider for various worldwide sporting events. STN would also provide on-going assistance to SAL with regard to technical, administrative, and service-orientated issues relating to the delivery, utilization, transmission, storage and maintenance of the Content. On January 20, 2014, SAL entered into a revised Distribution Agreement whereby STN has agreed to provide SAL transferrable rights for the use, reproduction, storage, display, and transmission of certain content subject to pre-approval in writing from STN. In addition, the revised Distribution Agreement includes changes to the revenue sharing terms, and adds a share of advertising revenue directly resulting from aggregated content by SAL within the territory. SAL will strive to become a leading digital content provider for the Asia Pacific region, capitalizing on an explosively growing market with local, regional and national content that was previously unavailable in the area. This is a new and exciting market, and offers exciting opportunities for expansion and growth. There is no assurance, however, that SAL will be successful in its efforts. On the other side of the distribution chain, we plan to create SALs own proprietary news partnerships to provide guaranteed content distribution in return for a corresponding share of advertising revenues to a news industry looking to supplement their rapidly declining traditional ad revenue with viable digital-age revenue.  The increase in worldwide digital ad spending is led by the Asia-Pacific region and specifically China.  Stronger control over distribution to help target intended audience.  Other segments of the market are also benefiting. The high and rapidly increasing popularity of social media platforms such as Facebook, YouTube, and Twitter are expected to revolutionize the marketing strategies employed in areas such as the pharmaceuticals industry. There, in addition to marketing, an increasing number of pharma players have also begun leveraging these platforms to enhance consumer relationships and improve brand management, based on the market intelligence generated by monitoring and analyzing user-generated content. The ability to incorporate consumer feedback to develop new products is also expected to initiate a strategic shift in the operational model of pharma companies. Social media involvements are expected to increase product sales, especially those of OTC drugs, in the long term. Novartis for instance has already begun using YouTube and Facebook to enhance the sales for its OTC drugs such as Comtrex, Orofar and Bufferin. Johnson &Johnson, one of the first pharma giants to enter the social media space, has used online platforms for crisis management  when the company recalled its products (Tylenol and Benadryl tablets) it used social websites to apologize to consumers for irregularities in its manufacturing plant found during FDA inspection. Syndicore Asia Limited is a wholly-owned subsidiary of the Company. Syndicore Asia Limited is also in the startup phase and is in the process of entering into arrangements and agreements to implement the current business plan. Syndicore Asia Limited is an online media company that syndicates video in a cloud-based, multimedia conduit serving a growing, global community of content creators, news outlets and leading brands. Syndicore Asia Limited will be a provider of syndicated video media to news organizations in the Asia Pacific region. In addition, Syndicore Asia Limited plans to aggregate content from the Asia Pacific region and provide it to news organizations around the world. Syndicore Asia Limited is devoting its resources to establishing the new business, and its planned operations have not yet commenced. Accordingly, no revenues have been earned during the period from its inception on April 23, 2013 to December 31, 2017. On August 1, 2014 the Company formed Green Standard Technologies, Inc. (GSTE) as a wholly owned incorporated under the laws of the state of Nevada. The Companys second line of business is carried on by this subsidiary. During 2017, GSTE was inactive, no longer had a useful purpose, and provided no revenue to the Company. On Dec 29, 2017, for the best interest of the Company, the Board decided to eliminate all costs in connection with GSTE, agreed not to continue GSTE and closed down with immediate effect. Z-Line International E-Commerce Company Limited (Z-Line) is a 55% owned subsidiary of the Company formed under the laws of Hong Kong and incorporated on August 17, 2016. Z-Line is a Hong Kong based e-Commerce company that provides consumer-to-consumer, business-to-consumer, and business-to-business-sales services via web portals. Z-Line currently operates through the web portal www.zzll.win and has begun additional development, which will occur as the site evolves to increase its functionality, sales, service, support and product offerings. Z-line Mall currently carries daily necessities, cosmetic products and skin care products. On June 28, 2017, Hunan Syndicore Asia Limited (HSAL), a 100% owned subsidiary of Syndicore Asia Limited incorporated under the laws of PRC. HSAL is a Wholly Foreign-Owned Enterprise (WFOE) in China, established in the National High-Tech Industrial Development Zone of Changsha, Hunan. HSAL is a PRC based e-Commerce company that will endeavor to develop its in E-Commerce, video content and video streaming capabilities. Additionally, HSAL has now launched Hua Wen Mall (HWM) - its first online member retail website at hwt.zzll.win. HWM is a platform that allows businesses to sell their products and services to HWMs members through this business-to-business and business-to-consumer portal. All payments and processing will go through HWM, for which they will receive a transaction fee. The Mall will develop its own branded products, and is especially moving towards products which have smart functionality allowing the Company to capture a greater segment of the market with data and information analytics as social media becomes increasingly influential in the Chinese market. Hua Wen Mall will also cooperate with ZZLLs existing Hong Kong platform, Z-Line Mall (www.zzll.win) to share members, customers and products. Ecommerce sales in China are expected to pass $1.132 trillion in 2017, accounting for nearly half of the worldwide retail ecommerce sales. Chinas ecommerce sales will account for 23.1% of all retail sales in China in 2017, however, this figure is expected to increase to 40.8% by 2021. The popularity of shopping on a mobile phone is expected to continue with eMarketer predicting more than 75% of ecommerce sales  over $1tn - will be transacted via a mobile device. China is the worlds largest ecommerce market with a significant lead on other markets including the US ($450.81bn), UK ($110.07bn) and Japan ($95.33bn). And according to Zeniths Mobile Advertising Forecasts 2017: The country with the highest number of smartphone users will be China, with 1.3 billion users, followed by India, with 530 million users. The US will be third, with 229million users. Chinese consumers moved more of their shopping online in 2017, sending e-retail sales past $1 trillion for the first time in the worlds leading e-commerce market. With the highest number of smart phone users in the world, increasing penetration amongst the population and a growing trend towards smart apps, platforms and online shopping, the China market should allow HSAL multiple avenues of expansion within its existing business model. Traditional models of E-Commerce are encompassing a larger amount of the Internet of Things and data analytics with smart technology and applications. We do not own any real property for use in our operations or otherwise. We lease an office located at Unit 1504, 15/F., Carnival Commercial Building, 18 Java Road, North Point, Hong Kong. The lease is for two years, expiring on August 27, 2019 with monthly lease payments of approximately USD 1,026 (HKD 8,000). Moreover, we lease an office located at No. 101-504, Block 2, 56 Wang Lung Road, Changsha, Hunan Province, China. The lease is for three years, expiring on June 11, 2020 with monthly lease payment of approximately USD 1,363 (RMB 9,145). *Over-the-counter market quotations reflects high and low bid quotations and inter-dealer prices without retail mark-up, mark-down or commission, and may not represent actual transactions. ^All share prices have been retroactively restated to reflect ZZLLs 1-for-50 reverse stock split which was effective on Oct 5, 2017. HOLDERS. As of December 31, 2017, we had approximately 86 shareholders of record who held 19,252,448 shares of the Companys common stock. This number of shareholders does not include shareholders whose shares are held in street or nominee names. We believe that as of December 31, 2017, there are approximately 120 beneficial owners of our Common Stock, when these shareholders are considered. DIVIDEND POLICY. We have not declared or paid any cash dividends on our common stock and we do not intend to declare or pay any cash dividends in the foreseeable future. The payment of dividends, if any, is within the discretion of our Board of Directors and will depend on our earnings, if any, our capital requirements and financial condition and such other factors as our Board of Directors may consider. During the year ended December 31, 2016, the Company issued 6,696,500 common shares and 32,000,000 common shares to the officer on August 25, and September 20, respectively. The issuance with an aggregate of 38,696,500 common shares in lieu of $193,483 compensation to the officer under an option resolved in 2013 to pay the officer by common stock in lieu of cash at a rate of $0.005 per share. Further on November 10 and December 1, 2016, the Company further issued 1,000,000 common shares and 15,400,000 common shares to the officer respectively. The issuance with an aggregate of 16,400,000 common shares in lieu of $82,000 compensation to the officer under an option resolved in 2013 to pay the officer by common stock in lieu of cash at a rate of $0.005 per share. On December 12, 2017, the Company issued 2,022,500 shares of units consisting of its common stock and a warrant (the Units). The units were issued to five shareholders at a rate of $0.04 per Unit. The warrant exercise price is $0.05 for one common share valid for a two years period after the subscription date. The total consideration for the issuance was $80,900. This discussion and analysis of our financial condition and results of operations includes forward-looking statements that reflect our current views with respect to future events and financial performance. We use words such as expect, anticipate, believe, and intend and similar expressions to identify forward-looking statements. You should be aware that actual results may differ materially from our expressed expectations because of risks and uncertainties inherent in future events and you should not rely unduly on these forward-looking statements. We disclaim any obligation to publicly update these statements, or disclose any difference between its actual results and those reflected in these statements. Reference in the following discussion to our, us and we refer to the operations of ZZLL Information Technology, Inc. (F/K/A Green Standard Technologies, Inc.) and its subsidiaries (We), except where the context otherwise indicates or requires. In the twelve (12) months ended December 31, 2017, we derived revenues of $5,353 (RMB 35,918) from our current business operations. Green Standard Technologies Enterprises, Inc.
On August 1, 2014, the Company formed Green Standard Technologies Enterprises, Inc. (F/K/A Green Standard Technologies, Inc.)(GSTEI) as a wholly owned subsidiary incorporated under the laws of the state of Nevada. The Companys second line of business is carried out by this subsidiary. On June 6, 2015, Green Standard Technologies Inc. filed articles of amendment to change its name to Green Standard Technologies Enterprises, Inc.
During the year of 2017, GSTE was in-active, no longer had a useful purpose, and provided no revenue to the Company. On Dec 29, 2017, for the best interest of the Company, the Board decided to eliminate all costs in connection with GSTE, agreed not to continue and closed down GSTE with immediate effect. On August 17, 2016, Z-Line International E-Commerce Company Limited (Z-Line), a 55% owned subsidiary of the Company incorporated under the laws of Hong Kong. Z-Line is a Hong Kong based e-Commerce company that provides consumer-to-consumer, business-to-consumer, and business-to-business-sales services via web portals. Z-Line had no revenues earned during the period from its incorporation to December 31, 2017. Hunan Syndicore Asia Limited (HSAL), a 100% owned subsidiary of Syndicore Asia Limited incorporated under the laws of PRC. HSAL is a Wholly Foreign-Owned Enterprise (WFOE) incorporated under the Foreign Enterprise Law of People Republic of China, established in the National High-Tech Industrial Development Zone of Changsha, Hunan. HSAL is a PRC based e-Commerce company that will endeavor to develop its in E-Commerce, video content and video streaming capabilities. In the twelve (12) months ended December 31, 2017, we derived $5,353 in revenues from our current business operations. Administrative and other operating expenses for the year ended December 31, 2017 increased 295.8% to $958,022 compared to $242,070 for the year ended December 31, 2016. Net Loss for the year ended December 31, 2017 worsened by 293.0% to $952,186 compared to $242,269 for the year ended December 31, 2016. The following table sets forth the comparison of the audited consolidated statements of operations data for the year ended December 31, 2017 and 2016 and should be read in conjunction with our financial statements and the related notes appearing elsewhere in this document. In the year ended December 31, 2017 (the FY2017) and 2016 (the Comparable Year), we derived revenues of $5,353 and $Nil respectively, from our current business operations from HSAL. We anticipate that we will continue to generate revenue from website business and operation. Cost of sales was $2,865 for the FY2017 and $Nil for the Comparable Year and gross profit was $2,488 for the FY2017 and $Nil for the Comparable Year. General and administrative expenses for the year ended December 31, 2017 were $958,022 compared to $242,070 for the year ended December 31, 2016. The change was mainly due to the increase of warrants expenses $685,395 resulted by the issuance of 2,022,500 shares common stock with exercisable warrant. Other expenses (income) consists of management service income, interest income and interest expenses. Other income amount for $3,348 is recorded for the FY2017, compared to $Nil for the Comparable Year, and interest expenses amount for $Nil is recorded for the FY2017, compared to $199 for the Comparable Year. There were no income taxes recorded or paid during the year ended December 31, 2017 and 2016. The foreign currency translation was negative $388 for the year ended December 31, 2017 as compared to $Nil for the year ended December 31, 2016. Our net loss attributable to the Group was $924,556 for the year ended December 31, 2017, as compared to a net loss of $235,737 for the year ended December 31, 2016. There was an attribution of loss to non-controlling interest of $27,630 for the year ended December 31, 2017 as compared to $6,532 for the year ended December 31, 2016. The U.S. Securities and Exchange Commission (SEC) recently issued Financial Reporting Release No. 60, Cautionary Advice Regarding Disclosure About Critical Accounting Policies (FRR 60), suggesting companies provide additional disclosure and commentary on their most critical accounting policies. In FRR 60, the SEC defined the most critical accounting policies as the ones that are most important to the portrayal of a companys financial condition and operating results, and require management to make its most difficult and subjective judgments, often as a result of the need to make estimates of matters that are inherently uncertain. Based on this definition, our most critical accounting policies include: inventory valuation, which affects cost of sales and gross margin; policies for revenue recognition, allowance for doubtful accounts, and stock-based compensation. The methods, estimates and judgments we use in applying these most critical accounting policies have a significant impact on our results we report in our consolidated financial statements. We account for impairment of property, plant and equipment in accordance with FASB ASC 360. The carrying value of a long-lived asset is considered impaired when the anticipated undiscounted cash flow from such asset is separately identifiable and is less than its carrying value. In that event, a loss is recognized based on the amount by which the carrying value exceeds the fair market value of the long-lived asset. Fair market value is determined primarily using the anticipated cash flows discounted at a rate commensurate with the risk involved. Losses on long-lived assets to be disposed of are determined in a similar manner, except that fair market values are reduced for the cost to dispose. During the reporting years, there was no impairment loss incurred. Competitive pricing pressure and changes in interest rates, could materially and adversely affect our estimates of future net cash flows to be generated by our long-lived assets. We had a net loss of $924,556 for the year ended December 31, 2017 and a net loss since inception on April 15, 2011 of $2,013,340. The net loss for 2017 and 2016 were generated as a result of paying all necessary administrative expenses. On December 31, 2017 we had cash on hand of $18,430. The accumulative loss has raised substantial doubt about our ability to continue as a going concern. These doubts were outlined in Note 3 to our independent auditors report on our Consolidated Financial Statements for the year ended December 31, 2017. Although our Consolidated Financial Statements raise substantial doubt about our ability to continue as a going concern, they did not include any adjustments relating to recoverability and classification of recorded assets, or the amounts or classifications of liabilities that might be necessary in the event we cannot continue as a going concern. Certain of our shareholders have verbally agreed to provide financial support to us for losses we may incur in the future. Net cash used in operating activities was $293,537 for the year ended December 31, 2017 as compared to net cash used in operating activities of $414,464 for the year ended December 31, 2016. The decrease in cash used during the year ended December 31, 2017 was mainly due to the changes of cash used in other payables and accrued liabilities, and with no cash flow effect on warrant liabilities. Net cash used in investing activities was $606 for the year ended December 31, 2017 as compared to net cash used in investing activities of $Nil for the year ended December 31, 2016. The change was due to the purchase of equipment in the year 2017. For the year ended December 31, 2017 and 2016, there were no external financing activities except for the gross proceeds of $159,667 and $275,481 received from the issuance of 17,776,000 and 1,101,930 (55,096,500 shares retroactively restated to reflect 1-for-50 reverse stock split which was effective on Oct 5, 2017) shares of common stock, respectively. From time to time, related parties of the Company finance the working capital requirements for operations on a temporary basis. This financing is provided in the form of temporary loans to the Company. The net cash generated by related partys loan for the year ended December 31, 2017 and 2016 were $69,479 and $196,984, respectively. Furthermore, net cash generated by amount due from Network Service Management Limited (NSML) was $25,641 for the year ended December 31, 2017, the change was resulted by the paid up of $25,641 (HKD200,000) capital in arrear for Z-Line International E-Commerce Company Limited. The amounts due to related parties and director are interest-free loans. These loans are unsecured and have no fixed repayment terms. On February 7, 2018, Mr. Philip Tsz Fung Lo resigned as Chief Financial Officer and Director of the Company on personal matters. On March 6, 2018, the Company through its wholly owned subsidiary, Syndicore Asia Limited (SAL), entered into a Share Exchange Agreement (the Agreement) with SleepAid Holding Co. (SleepAid). Under the Agreement, in exchange for 12,000,000 newly issued shares of the Company, SAL will acquire all the outstanding shareholdings of all three subsidiaries companies of SleepAid, Yugosu Investment Limited, Guangzhou Sleepaid Household Supplies Co., Ltd and Guangzhou Yuewin Trading Co., Ltd.
On March 23, 2018, the Company issued 550,000 units consisting of its common stock and a warrant (the Units) to three shareholders at a rate of $0.04 per Unit. The warrant exercise price is $0.05 for one common share and it is valid for a two years period after the subscription date. The total consideration for the issuance was $22,000. Except the events mentioned above, there being no other material subsequent events for the period after the year ended date as at December 31, 2017 till the release of the report. The Company does not have off-balance sheet arrangements as of December 31, 2017 and 2016. See Note 4 to consolidated financial statements included in Item 8, Financial Statements, of this Annual Report on Form 10-K. Attached hereto and filed as part of this Annual Report on Form 10-K are our Consolidated Financial Statements, beginning on page F-1. Our management, with the participation of our Principal Executive Officer and Principal Financial Officer, evaluated the effectiveness of our disclosure controls and procedures (as defined in the Securities Exchange Act of 1934 Rules 13a-15(e) and 15d-15(e)) as of the end of the period covered by this Annual Report on Form 10-K. In designing and evaluating the disclosure controls and procedures, management recognizes that any controls and procedures, no matter how well designed and operated, can provide only reasonable assurance of achieving the desired control objectives. In addition, the design of disclosure controls and procedures must reflect the fact that there are resource constraints and that management is required to apply its judgment in evaluating the benefits of possible controls and procedures relative to their costs. Based on our evaluation, our Principal Executive Officer and Principal Financial Officer, after considering the existence of material weaknesses identified, determined that our internal controls over disclosure controls and procedures were not effective as of December 31, 2017. Our internal control over financial reporting includes those policies and procedures that: (i) pertain to the maintenance of records that in reasonable detail accurately and fairly reflect the transactions and dispositions of our assets, (ii) provide reasonable assurance that transactions are recorded as necessary to permit preparation of financial statements in accordance with generally accepted accounting principles, and that our receipts and expenditures are being made only in accordance with the authorization of our management and directors, and (iii) provide reasonable assurance regarding prevention or timely detection of unauthorized acquisition, use or disposition of our assets that could have a material effect on our financial statements. Management, including our Principal Executive Officer and Principal Financial Officer, assessed the effectiveness of our internal control over financial reporting as of December 31, 2017. In making this assessment, management used the criteria set forth by the Committee of Sponsoring Organizations of the Treadway Commission (COSO) in Internal Control over Financial Reporting - Guidance for Smaller Public Companies. Based on that assessment, it was determined that our internal controls over financial reporting were not effective. It should be noted that any system of controls, however well designed and operated, can provide only reasonable, and not absolute, assurance that the objectives of the system are met. In addition, the design of any control system is based in part upon certain assumptions about the likelihood of future events. Because of these and other inherent limitations of control system, there can be no assurance that any design will succeed in achieving its stated goals under all potential future conditions. This annual report does not include an attestation report of the Company's registered public accounting firm regarding internal control over financial reporting. Management's report was not subject to attestation by the Company's registered public accounting firm pursuant to rules of the Securities and Exchange Commission that permit us to provide only management's report in this annual report. We regularly review our system of internal control over financial reporting to ensure we maintain an effective internal control environment. There were no changes in our internal controls over financial reporting during the quarter ended December 31, 2017 that have materially affected, or are reasonably likely to materially affect, our internal control over financial reporting. There have been no changes in the Companys internal control over financial reporting that occurred during the year ended December 31, 2017 that have materially affected, or are reasonably likely to materially affect, the Companys internal control over financial reporting. The following table sets forth the name, age, and position of our directors and our executive officers as of December 31, 2017. Each director holds office (subject to our By-Laws) until the next annual meeting of shareholders and until such directors successor has been elected and qualified. Each executive officer holds his office until he resigns, is removed by the board of directors, or his successor is elected and qualified, subject to applicable employment agreements. Mr. Sean Webster, 45- Mr. Sean Webster has been the President and Chief Executive Officer of ZZLL Information Technology, Inc. since March 25, 2008. Mr. Webster was the Chief Operating Officer, Chief Financial Officer, Treasurer and Secretary of Biopack Environmental Solutions, Inc. from October 6, 2008 until April 27, 2012. Mr. Webster was Senior Vice President of Finance & Business Development of Grand Power Logistics Group Inc., from April 8, 2008 until June 1, 2011. From May, 1999 to October 2007 he served as an Investment Advisor (Investment Dealers Association of Canada, Registered Representative) at Blackmont Capital Inc. Mr. Webster graduated from the University of Calgary in 1996 with a BA in Economics, and a minor in Management and Commerce. Mr. Wei Liang, 36 Mr. Liang is an engineer and has over 15 years experience in e-Business system design, computer engineering, internet framework and system design, implementation and management, specifically in banking e-Business systems. Mr. Liang also has expertise in design and development of electronic platforms for education. Since April 2015, Mr. Liang has acted as Managing Director of Hunan Longitudinal Uned Information Technology Co., Ltd. Prior to this position, from March 2013 to April 2015, Mr. Liang was the Managing Director of Hunan Ming Da Educational Technology Company Limited. Mr. Liang was the Principal of Lou Di City Electronic Technology Vocational College from 2011 to 2013. From 2004 to 2011, Mr. Liang was an Engineer with the Lou Di City Bureau of Education. Mr. Liang earned a Bachelor degree in Computers from the University of Nanchang in 2008 and a Master degree in Computer Engineering from the University of Jilin in 2011. Mr. Wei Zhu, 40 Since April 2015 Mr. Zhu was the president and co-founder of Hunan Longitudinal Uned Information Technology Co., Ltd. Prior to this position, since 2008, Mr. Zhu and his partner started another company in home security industry, Hunan Zhongdun Security Intelligent & Technology Co., Ltd. and was positioned as General Manager. From 2006 to 2008, Mr. Zhu started his Hunan Shichuang Decoration Engineering Co., Ltd and had projects with Industrial and Commercial Bank of China, Agricultural Bank of China, Bank of China. Mr. Zhu earned an EMBA from Tsinghua University. Mr. Riggs Cheung, 46 - Mr. Cheung was with SleepAid Holding Co. since December, 2014 and served as its CFO and director until November 2017. Since 2006, Mr. Riggs has also been the Marketing Director for America Asia Travel Center, in its New York Branch. Mr. Riggs attended City University of New York  Manhattan College and received an Associates Degree in Art in 1997. Mr. Philip Tsz Fung Lo, 51 - Mr. Lo graduated from the University of Wollongong, NSW Australia in 1992 with a Bachelor of Commerce degree. Mr. Lo is currently an Independent Non-Executive Director of Styland Holding Limited since April 2009, a company listed on Hong Kong Stock Exchange Main Board (Stock Code: 211); an independent director of Dragon Jade International Limited since Sept 2012, a company listed on OTCQX in the United States; and the Chief Financial Officer of China Keli Electric Company Ltd. since August 2015, a company listed on TSX-Venture Canada (ZKL). Mr. Lo resigned as the Companys Director and CFO on February 7, 2018. As of December 31, 2017, we have 8 full time employee. There are no family relationships between any of our directors and executive officers. There have been no events under any bankruptcy act, no criminal proceedings and no judgments, orders or decrees material to the evaluation of the ability and integrity of any director or executive officer of the Company during the past five years. There have been no events under any bankruptcy act, no criminal proceedings and no judgments, orders or decrees material to the evaluation of the ability and integrity of any director or executive officer of the Company during the past five years. See under the heading of Subsequent Events in the Management Discussion and Analysis section. Section 16(a) of the Securities Exchange Act of 1934 requires our Directors and executive officers and persons who beneficially own more than ten percent of a registered class of our equity securities to file with the SEC initial reports of ownership and reports of change in ownership of common stock and other equity securities of the Company. Officers, Directors and greater than ten percent shareholders are required by SEC regulations to furnish us with copies of all Section 16(a) forms they file. Based solely upon a review of Forms 3 and 4 and amendments thereto furnished to us under Rule 16a-3(e) during the year ended December 31, 2017, Forms 5 and any amendments thereto furnished to us with respect to the year ended December 31, 2017, and the representations made by the reporting persons to us, we believe that during the year ended December 31, 2017, our executive officers and Directors and all persons who own more than ten percent of a registered class of our equity securities complied with all Section 16(a) filing requirements. We will provide a copy of our code of ethics without charge to any person that requests it. Any such request should be made in writing to the attention of Sean Webster, Chief Executive Officer, ZZLL Information Technology, Inc., Unit 1504, 15/F., Carnival Commercial Building, 18 Java Road, North Point, Hong Kong. We have not established a separately designated standing audit committee nor do we have an audit committee financial expert serving on our Board of Directors. However, the Company intends to establish a new audit committee of the Board of Directors that shall consist of independent Directors. The audit committees duties will be to recommend to the Companys Board of Directors the engagement of an independent registered public accounting firm to audit the Companys financial statements and to review the Companys accounting and auditing principles. The audit committee will review the scope, timing and fees for the annual audit and the results of audit examinations performed by the internal auditors and independent registered public accounting firm, including their recommendations to improve the system of accounting and internal controls. The audit committee shall at all times be composed exclusively of Directors who are, in the opinion of the Companys Board of Directors, free from any relationship which would interfere with the exercise of independent judgment as a committee member and who possess an understanding of financial statements and generally accepted accounting principles. The following table sets forth the annual and long-term compensation of our Named Executive Officers for services rendered in all capacities to the Company for the years ended December 31, 2017, December 31, 2016 and December 31, 2015. In March, 2008 the Company implemented a vested and non-vested stock option plan and all the options granted under those plans expired March 31, 2011. In the year ended March 31, 2008, a total of 300,000 of vested and 80,000 non-vested options were granted to employees of the Company at a price of $0.35 per share, exercisable for a term of three years. No stock options have been granted to any of the officers or directors of the Company. No stock options have been exercised by any employees, officers or directors since we were founded. ZZLL Information Technology, Inc. (F/K/A Green Standard Technologies, Inc.), Syndicore Asia Limited, Green Standard Technologies Enterprises, Inc. and Z-Line International E-Commerce Limited currently have no option plans. There are no current outstanding equity awards to our executive officers as of December 31, 2017. Directors receive no extra compensation for their services to our Board of Directors. The following table sets forth certain information regarding the beneficial ownership of our Common Stock as of December 31, 2017: by (i) each person who is known by us to own beneficially more than 5% of our outstanding Common Stock, (ii) by each of our directors, (iii) by each of our executive officers and (iv) by all our directors and executive officers as a group. On such date, we had 19,252,448 shares of Common Stock outstanding. (1) Applicable percentage of ownership is based on 19,252,448 shares of Common Stock outstanding as of December 31, 2017, together with securities exercisable or convertible into shares of Common Stock within 60 days of December 31, 2017, for each stockholder. Beneficial ownership is determined in accordance with the rules of the United States Securities and Exchange Commission and generally includes voting or investment power with respect to securities. Shares of Common Stock subject to securities exercisable or convertible into shares of Common Stock that are currently exercisable or exercisable within 60 days of December 31, 2017, are deemed to be beneficially owned by the person holding such securities for the purpose of computing the percentage of ownership of such person, but are not treated as outstanding for the purpose of computing the percentage ownership of any other person. There are no options, warrants, rights, conversion privileges or similar right to acquire the common stock of the Company and the Common Stock is the only outstanding class of equity securities of the Company as of December 31, 2017. As of December 31, 2017, Sean Webster, an officer and director of the company controlled the largest percentage of shares of common stock. As of December 31, 2017 there are a total of 86 Stockholders of record holding 19,252,448 shares of our common stock, excluding the shareholders that hold our shares in street name 18,347,582 of our outstanding shares of common stock are restricted securities, as that term is defined in Rule 144 of the Rules and Regulations of the SEC promulgated under the Securities Act. Under Rule 144, such shares can be publicly sold, subject to certain restrictions commencing six (6) months after the acquisition of such shares. As of December 31, 2017 and December 31, 2016, the Company had received advances of $Nil and $Nil from its shareholders for operating expenses. These advances bear no interest, no collateral and have no repayment term. During the FY2017, the Company issued 15,753,500 shares on October 13, 2017 in lieu of consideration of $78,768; and 2,022,500 shares on December 12, 2017 in lieu of consideration of $80,900. The following table presents aggregate fees, including reimbursements for expenses, professional audit services and other services rendered by our independent registered public accounting firm Centurion ZD CPA Limited during the years ended December 31, 2017 and 2016. 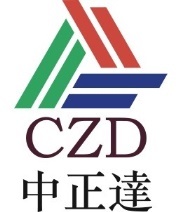 (1) Audit Fees consist of fees billed for professional services rendered for the audit of the Companys consolidated annual financial statements and review of the interim consolidated financial statements included in quarterly reports and services that are normally provided by Centurion ZD CPA Limited in connection with statutory and regulatory filings or engagements. Audit Fees billed by Centurion ZD CPA Limited includes audited fees for auditing our 2017 and 2016 annual financial statements and interim review. (2) Audit-Related Fees consist of fees billed for assurance and related services that are reasonably related to the performance of the audit or review of the Companys consolidated financial statements and are not reported under Audit Fees. There were no such fees in fiscal year 2017 or 2016. (3) Tax Fees consist of fees billed for professional services rendered for tax compliance, tax advice and tax planning. There were no such fees in fiscal year 2017 or 2016. (4) All Other Fees consist of fees for products and services other than the services reported above. There were no such fees in fiscal year 2017 or 2016. (2)The financial statements listed in the Index are filed as part of this report. Schedule II  Valuation and Qualifying Accounts and Reserves. Schedule II on page S-1 is filed as part of this report. (3)List of Exhibits - See Index to Exhibits in paragraph (b) below. The Exhibits are filed with or incorporated by reference in this report. (b) Exhibits required by Item 601 of Regulation S-K.
(c) Financial statements required by Regulation S-X which are excluded from the annual report to shareholders by Rule 14a-3(b). Unit 1304, 13/F, Two Harbourfront, 22 Tak Fung Street, Hunghom, Hong Kong. To: The Board of Directors and Shareholders of ZZLL Information Technology, Inc.
We have audited the accompanying consolidated balance sheets of ZZLL Information Technology, Inc. and its subsidiaries (the "Company") as of December 31, 2017 and 2016, the related consolidated statements of operations, changes in shareholders equity, and cash flows, for each of the two years in the period ended December 31, 2017, and the related notes (collectively referred to as the "financial statements"). In our opinion, the financial statements present fairly, in all material respects, the financial position of the Company as of December 31, 2017 and 2016, and the consolidated results of its operations and its cash flows for each of the two years in the period ended December 31, 2017, in conformity with U.S. generally accepted accounting principles. The accompanying financial statements have been prepared assuming that the Company will continue as a going concern. As discussed in Note 3 to the consolidated financial statements, the Company has suffered recurring losses from operations and has a net capital deficiency that raise substantial doubt about its ability to continue as a going concern. Management's plans in regard to these matters are also described in Note 3. The consolidated financial statements do not include any adjustments that might result from the outcome of this uncertainty. We conducted our audits in accordance with the standards of the PCAOB. Those standards require that we plan and perform the audit to obtain reasonable assurance about whether the consolidated financial statements are free of material misstatement, whether due to error or fraud. The Company is not required to have, nor were we engaged to perform, an audit of its internal control over financial reporting. As part of our audits we are required to obtain an understanding of internal control over financial reporting but not for the purpose of expressing an opinion on the effectiveness of the Company's internal control over financial reporting. Accordingly, we express no such opinion. Syndicore Asia Limited (SAL) is an online media company that syndicates video in a cloud-based, multimedia conduit serving a growing global community of content creators, news outlets and leading brands. Syndicore Asia Limited will be a provider of syndicated video media to news organizations in the Asia Pacific region. In addition, Syndicore Asia Limited plans to aggregate content from the Asia Pacific region and provide it to news organizations around the world. On August 1, 2014 Green Standard Technologies, Inc. (F/K/A Baoshinn Corporation) formed Green Standard Technologies Enterprises, Inc. (F/K/A Green Standard Technologies, Inc.), (GSTEI) as a wholly owned subsidiary incorporated under the law of the state of Nevada. The Companys second line of business is carried out by this subsidiary. Green Standard Technologies Enterprises, Inc. (GSTEI) is in the medical and recreation marijuana industry, and the establishment of a website will be used to further their business by providing visions with medical and recreational marijuana resource. On October 29, 2014 Green Standard Technologies Enterprises, Inc., entered into a Website Development Agreement with Social Asylum Inc. (SAI). Under the terms of the Agreement SAI has agreed to provide a fully functioning ecommerce website with unique and proprietary functions, according to a mutually agreed upon set of features and milestones for minimum cost of $150,000, but the cost could potentially be higher depending on finalized functionality, scope and details. Also included are plans for launch, market and geographic expansion in the USA and potentially Europe. Contractor Agreement to serve as an expert on filing services. GST shall pay $360,000 USD for one (1) year on April 1, 2015 and on the anniversary date of the contract to Rider Capital Corp., unless otherwise terminated. Contractor Agreement to serve as an expert on compliance services. GST shall pay $450,000 USD for one (1) year on April 1, 2015 and on the anniversary date of the contract to Rider Capital Corp., unless otherwise terminated. Contractor Agreement to serve as an expert on distribution and business development. GST shall pay $550,000 USD for one (1) year on April 1, 2015 and on the anniversary date of the contract to Rider Capital Corp., unless otherwise terminated. On April 1, 2015, the Company issued three convertible promissory notes to Rider Capital Corp. in the sum of $360,000, $450,000 and $550,000 with 8% annual interest rate, no collateral and redeemable on October 2015 in exchange for the contractor agreement signed for the filing, compliance and distribution and business development services to be provided. Contractor Agreement to serve as an expert on filing services signed on April 1, 2015. Promissory Note is in the amount of $360,000. Contractor Agreement to serve as an expert on compliance services signed on April 1, 2015. Promissory Note is in the amount of $450,000. Contractor Agreement to serve as an expert on distribution and business development signed on April 1, 2015. Promissory Note is in the amount of $550,000. The financial statements have been prepared in accordance with generally accepted principles in the United States applicable to a going concern, which contemplates the realization of assets and the satisfaction of liabilities and commitments in the normal course of business. As of December 31, 2017, the Company has accumulated deficits of $2,751,744, generated a net loss of $924,556 for the year ended December 31, 2017 and its current liabilities exceed its current assets resulting in negative working capital of $833,512. In view of the matters described above, recoverability of a major portion of the recorded asset amounts and realization of the portion of current liabilities into revenue shown in the accompanying balance sheets are dependent upon continued operations of the Company, which in turn are dependent upon the Company's ability to raise additional financing and to succeed in its future operations. The Company may need additional cash resources to operate during the upcoming 12 months, and the continuation of the Company may be dependent upon the continuing financial support of investors, directors and/or shareholders of the Company. However, there is no assurance that equity or debt offerings will be successful in raising sufficient funds to assure the eventual profitability of the Company. These financial statements do not include any adjustments relating to the recoverability and classification of recorded asset amounts or amounts and classification of liabilities that might be necessary should the Company be unable to continue as a going concern. Management has taken the following steps to revise its operating and financial requirements, which it believes are sufficient to provide the Company with the ability to continue as a going concern. The Company is actively pursuing additional funding which would enhance capital employed and strategic partners which would increase revenue bases or reduce operation expenses. Management believes that the above actions will allow the Company to continue its operations throughout this fiscal year. On June 29, 2010, the Financial Accounting Standards Board (FASB) established the FASB Accounting Standards Codification (Codification) as the single source of authoritative US generally accepted accounting principles (GAAP) for all non-governmental entities Rules and interpretive releases of the Securities and Exchange Commission (SEC) and also sources of authoritative US GAAP for SEC registrants. The Codification does not change US GAAP but takes previously issued FASB standards and other U.S. GAAP authoritative pronouncements, changes the way the standards are referred to, and includes them in specific topic arrears. The adoption of the Codification did not have any impact on the Groups financial statements. The consolidated financial statements are presented in US Dollars and include the accounts of the Group and its subsidiaries. All significant inter-company accounts and transactions have been eliminated in consolidation. Accounts receivable are stated at original amount less allowance made for doubtful receivables, if any, based on a review of all outstanding amounts at the year end. An allowance is also made when there is objective evidence that the Group will not be able to collect all amounts due according to original terms of receivables. Bad debts are written off when identified. The Group extends unsecured credit to customers in the normal course of business and believes all accounts receivable in excess of the allowances for doubtful receivables to be fully collectible. The Group does not accrue interest on trade accounts receivable. The Group has a credit policy in place and the exposure to credit risk is monitored on an ongoing basis credit evaluations are preferred on all customers requiring credit over a certain amount. The Group had experienced the bad debts of $nil and $nil during the year ended December 31, 2017 and 2016 respectively. Advertising expenses are charged to expense as incurred. The advertising expenses incurred for the year ended December 31, 2017 and 2016 were $Nil and $Nil respectively. The FASB issued Accounting Standard Codification Topic 740 (ASC 740) Income Taxes. ASC 740 clarifies the accounting for uncertainty in tax positions. This requires that an entity recognized in the consolidated financial statements the impact of a tax position, if that position is more likely than not of being sustained upon examination, based on the technical merits of the position. The adoption of ASC 740 did not have any impact on the Groups results of operations or financial condition for the year ended 31 December, 2017. As of the date of the adoption of ASC 740, the Group has no material unrecognized tax benefit which would favorably affect the effective income tax rate in future periods. The Group has elected to classify interest and penalties related to unrecognized tax benefits, if and when required, as part of income tax expense in the consolidated statements of operations. The functional currency of the Group is Hong Kong dollars (HK$). The Group maintains its financial statements in the functional currency. Monetary assets and liabilities denominated in currencies other than the functional currency are translated into the functional currency at rates of exchange prevailing at the balance sheet dates. Transactions denominated in currencies other than the functional currency are translated into the functional currency at the exchanges rates prevailing at the dates of the transaction. In 2015, the exchange rate being use to translate amount in HK$ is fixed at 7.8 to 1 for the purpose of preparing the consolidated financial statements which is derived from October 17, 1983 monetary policy from Hong Kong Monetary Authority where the Hong Kong dollar was pegged at a rate of 7.8 HK$ = 1 US$, through the currency board system with a limited floating range from 7.85 to 7.75. Exchange gains or losses arising from foreign currency transactions are included in the determination of net income for the respective periods. Share-based compensation including stock options and common stock awards issued to employees and directors for services and are accounted for in accordance with FASB ASC 718 "Compensation - Stock Compensation" and share-based compensation including warrants and common stock awards issued to consultants and nonemployees are accounted for in accordance with FASB ASC 505-50 "Equity-Based Payment to Non-employees. All grant of common stock awards and stock options/warrants to employees and directors are recognized in the financial statements based on their grant date fair values. Awards to consultants and nonemployees are recognized based upon their fair value as of the earlier of a commitment date or completion of services. The grant date(s) of all awards are determined under the guidance of ASC 718-10-25-5. The Company estimates fair value of common stock awards based the quoted price of the Company's common stock on the grant date. The fair value of stock options and warrants is determined using the appropriate option pricing model depends on the applicable of situation. The calculation of diluted weighted average common shares outstanding for the year ended December 31, 2017 is based on the estimate fair value of the Groups common stock during such periods applied to options using the treasury stock method to determine if they are dilutive. Effective on October 5, 2017, each of fifty (50) shares of the Companys Common Stock, par value $.0001 per share, issued and outstanding immediately prior to the Effective Time (the Old Common Stock) shall automatically and without any action on the part of the holder thereof, be reclassified as and changed, pursuant, into one (1) share of the Companys outstanding Common Stock (the New Common Stock). No dilution effect due to net loss for the years ended December 31, 2017 and 2016. FASB Clarifies the Definition of a Business. The FASB has issued Accounting Standards Update No. 2017-01, Business Combinations (Topic 805): Clarifying the Definition of a Business, clarifying the definition of a business. The amendments affect all companies and other reporting organizations that must determine whether they have acquired or sold a business. The definition of a business affects many areas of accounting including acquisitions, disposals, goodwill, and consolidation. The amendments are intended to help companies and other organizations evaluate whether transactions should be accounted for as acquisitions (or disposals) of assets or businesses. The amendments provide a more robust framework to use in determining when a set of assets and activities is a business. They also provide more consistency in applying the guidance, reduce the costs of application, and make the definition of a business more operable. For public companies, the amendments are effective for annual periods beginning after December 15, 2017, including interim periods within those periods. For all other companies and organizations, the amendments are effective for annual periods beginning after December 15, 2018, and interim periods within annual periods beginning after December 15, 2019. The FASB has issued Accounting Standards Update No. 2017-06, Plan Accounting: Defined Benefit Pension Plans (Topic 960); Defined Contribution Pension Plans (Topic 962); Health and Welfare Benefit Plans (Topic 965): Employee Benefit Plan Master Trust Reporting. The amendments relate primarily to the reporting by an employee benefit plan (a plan) for its interest in a master trust. A master trust is a trust for which a regulated financial institution (bank, trust company, or similar financial institution that is regulated, supervised, and subject to periodic examination by a state or federal agency) serves as a trustee or custodian and in which assets of more than one plan sponsored by a single employer or by a group of employers under common control are held. The amendments are effective for fiscal years beginning after December 15, 2018. Early adoption is permitted. The amendments should be applied retrospectively to each period for which financial statements are presented. The amendments apply to reporting entities within the scope of Topic 960, Plan Accounting - Defined Benefit Pension Plans, Topic 962, Plan Accounting - Defined Contribution Pension Plans, or Topic 965, Plan Accounting - Health and Welfare Benefit Plans. Under Topic 960, investments in master trusts are presented in a single line item in the statement of net assets available for benefits. Similar guidance is not provided in Topic 962 or 965, which has resulted in diversity in practice. For each master trust in which a plan holds an interest, the amendments require a plans interest in that master trust and any change in that interest to be presented in separate line items in the statement of net assets available for benefits and in the statement of changes in net assets available for benefits, respectively. Topics 960 and 962 require plans to disclose their percentage interest in the master trust and a list of the investments held by the master trust, presented by general type, within the plans financial statements. The amendments remove the requirement to disclose the percentage interest in the master trust for plans with divided interests and require that all plans disclose the dollar amount of their interest in each of those general types of investments. Current U.S. GAAP does not require disclosure by plans of the master trusts other assets and liabilities. Examples of those balances include amounts due from brokers for securities sold, amounts due to brokers for securities purchased, accrued interest and dividends, and accrued expenses. The amendments require all plans to disclose: (a) their master trusts other asset and liability balances; and (b) the dollar amount of the plans interest in each of those balances. Lastly, investment disclosures (e.g., those required by Topics 815 and 820) relating to 401(h) account assets are generally provided in both the defined benefit pension plan financial statements and the health and welfare benefit plan financial statements. Stakeholders noted that the disclosures are redundant. The amendments remove that redundancy and do not require that the investment disclosures relating to the 401(h) account assets be provided in the health and welfare benefit plans financial statements. The amendments will require the health and welfare benefit plan to disclose the name of the defined benefit pension plan in which those investment disclosures are provided, so that participants can easily access those statements for information about the 401(h) account assets, if needed. The FASB has issued Accounting Standards Update (ASU) No. 2017-07, Compensation  Retirement Benefits (Topic 715): Improving the Presentation of Net Periodic Pension Cost and Net Periodic Postretirement Benefit Cost. The amendments apply to all employers, including not-for-profit entities, that offer to their employees defined benefit pension plans, other postretirement benefit plans, or other types of benefits accounted for under Topic 715, Compensation  Retirement Benefits. The amendments require that an employer report the service cost component in the same line item or items as other compensation costs arising from services rendered by the pertinent employees during the period. The other components of net benefit cost are required to be presented in the income statement separately from the service cost component and outside a subtotal of income from operations, if one is presented. If a separate line item or items are used to present the other components of net benefit cost, that line item or items must be appropriately described. If a separate line item or items are not used, the line item or items used in the income statement to present the other components of net benefit cost must be disclosed. The amendments also allow only the service cost component to be eligible for capitalization when applicable (e.g., as a cost of internally manufactured inventory or a self-constructed asset). The amendments are effective for public business entities for annual periods beginning after December 15, 2017, including interim periods within those annual periods. For other entities, the amendments are effective for annual periods beginning after December 15, 2018, and interim periods within annual periods beginning after December 15, 2019. Early adoption is permitted as of the beginning of an annual period for which financial statements (interim or annual) have not been issued or made available for issuance. The FASB has issued Accounting Standards Update (ASU) No. 2017-09, CompensationStock Compensation (Topic 718)  Scope of Modification Accounting. ASU 2017-09 applies to entities that change the terms or conditions of a share-based payment award. The FASB adopted ASU 2017-09 to provide clarity and reduce diversity in practice as well as cost and complexity when applying the guidance in Topic 718, CompensationStock Compensation, to the modification of the terms and conditions of a share-based payment award. Diversity in practice has arisen in part because some entities apply modification accounting under Topic 718 for modifications to terms and conditions that they consider substantive, but do not when they conclude that particular modifications are not substantive. Others apply modification accounting for any change to an award, except for changes that they consider purely administrative in nature. Still others apply modification accounting when a change to an award changes the fair value, the vesting, or the classification of the award. In practice, it appears that the evaluation of a change in fair value, vesting, or classification may be used to evaluate whether a change is substantive. Although the Master Glossary of the FASB Accounting Standards Codification™ currently defines the term modification as “a change in any of the terms or conditions of a share-based payment award,” Topic 718 does not contain guidance on what changes are substantive or purely administrative. The amendments in ASU 2017-09 include guidance on determining which changes to the terms and conditions of share-based payment awards require an entity to apply modification accounting under Topic 718. The amendments are effective for all entities for annual periods, and interim periods within those annual periods, beginning after December 15, 2017. Early adoption is permitted, including adoption in any interim period for: (a) public business entities for reporting periods for which financial statements have not yet been issued, and (b) all other entities for reporting periods for which financial statements have not yet been made available for issuance. The amendments should be applied prospectively to an award modified on or after the adoption date. The FASB has issued Accounting Standards Update (ASU) No. 2017-13.This ASU adds, amends, and supersedes SEC paragraphs of the Accounting Standards Codification (ASC) related to the adoption and transition provisions of ASU No. 2014-09, Revenue From Contracts with Customers and ASU 2016-02, Leases, for public business entities. The ASU is titled ASU No. 2017-13, Revenue Recognition (Topic 605), Revenue from Contracts with Customers (Topic 606), Leases (Topic 840), and Leases (Topic 842): Amendments to SEC Paragraphs Pursuant to the Staff Announcement at the July 20, 2017 EITF Meeting and Rescission of Prior SEC Staff Announcements and Observer Comments. The SEC staff would not object to a public business entity that otherwise would not meet the definition of a public business entity except for a requirement to include or the inclusion of its financial statements or financial information in another entitys filing with the SEC adopting (1) ASC Topic 606, Revenue from Contracts with Customers for annual reporting periods beginning after December 15, 2018, and interim reporting periods within annual reporting periods beginning after December 15, 2019, and (2) ASC Topic 842, Leases for fiscal years beginning after December 15, 2019, and interim periods within fiscal years beginning after December 15, 2020. A public business entity that otherwise would not meet the definition of a public business entity except for a requirement to include or the inclusion of its financial statements or financial information in another entitys filing with the SEC may still elect to adopt ASC Topic 606 and ASC Topic 842 according to the public business entity effective dates. This announcement is applicable only to public business entities that otherwise would not meet the definition of a public business entity except for a requirement to include or the inclusion of its financial statements or financial information in another entitys filing with the SEC. This announcement is not applicable to other public business entities. Amount due form Network Service Management Limited (NSML) was the capital-in-arrear to be invested to Z-Line International E-Commerce Limited (Z-Line). Z-Line is a corporation formed and incorporated on August 17, 2016 by the Company and NSML under the laws of Hong Kong. The shareholdings of Z-Line are 55% for the Company and 45% for NSML. The shareholdings of Z-Line for NSML has $294,872 (HKD 2,300,000) not yet paid up as at December 31, 2017. The Company and one subsidiary are incorporated in the United States, and are subject to United States federal and state income taxes. The Company did not generate taxable income in the United States in 2017 and 2016. Two subsidiaries are incorporated in Hong Kong, and are subject to Hong Kong Profits Tax at 16.5% for the twelve months ended December 31, 2017 and 2016. Provision for Hong Kong profits tax has not been made for the year presented as the subsidiaries have no assessable profits during the year. One subsidiary is incorporated in PRC, and is subject to PRC Income Tax at 25% for the twelve months ended December 31, 2017. Provision for PRC Income Tax has not been made for the year presented as the subsidiary has no assessable profits during the year. Deferred taxes are determined based on the temporary differences between the financial statement and income tax bases of assets and liabilities as measured by the enacted tax rates which will be in effect when these differences reverse. For the year ended December 31, 2017 and 2016, the Group has tax loss carrying-forwards, which does not recognize deferred tax assets as it is not probable that future taxable profits against which the losses can be utilized will be available in the relevant tax jurisdiction and entity. The Company did not have U.S, taxable income due to operating in Hong Kong SAR and PRC. The Company did not file the U.S. federal income tax returns. The Company did not have uncertainty tax positions or events leading to uncertainty tax position within the next 12 months. No Hong Kong Corporations Profits Tax Return filings are subject to Hong Kong Inland Revenue Department examination. Hunan Longitudinal Uned Information Technology Co., Ltd.
As at December 31, 2017 and 2016, the amount due to related parties represent advances from shareholders of the Group and are interest free, unsecured and have no fixed repayment terms. The Group has stock option plans that allow it to grant options to its key employees. During the year ended December 31, 2017 and 2016, the Company did not issue any stock options and there were no stock options being issued or outstanding. In 2017, the Group participates in a defined contribution pension scheme under the Mandatory Provident Fund Schemes Ordinance (MPF Scheme) for all its eligible employees in Hong Kong. The MPF Scheme is available to all employees aged 18 to 64 with at least 60 days of service in the employment in Hong Kong. Contributions are made by the Groups subsidiary operating in Hong Kong at 5% of the participants relevant income with a ceiling of HK$30,000. The participants are entitled to 100% of the Groups contributions together with accrued returns irrespective of their length of service with the Group, but the benefits are required by law to be preserved until the retirement age of 65. The only obligation of the Group with respect to MPF Scheme is to make the required contributions under the plan. In the year ended December 31, 2017, the assets of the schemes are controlled by trustees and held separately from those of the Group. In 2017, no assets are allocated to pension. Total pension cost was $Nil during year ended December 31, 2017 (2016: $Nil). The effective date for certain aspects of ASC 820 was deferred and is currently being evaluated by the Group. Areas impacted by the deferral relate to nonfinancial assets and liabilities that are measured at fair value, but are recognized or disclosed at fair value on a nonrecurring basis. The effects of these remaining aspects of ASC 820 are to be applied by the Group to fair value measurements prospectively beginning November 1, 2010. The adoption of the remaining aspects of ASC 820 is not expected to have a material impact on its financial condition or results of operations. Rental expense paid for the year ended December 31, 2017 and 2016 were $24,316 and $6,808 respectively. As of December 31, 2017 and December 31, 2016, the Company had received advancement of $251,973 and $182,494 from the shareholders for operating expenses. These advancements bear no interest, no collateral and have no repayment term. During the year ended December 31, 2017, the Company issued 15,753,500 common shares to the officer on October 13, 2017. The issuance of 15,753,500 common shares was in lieu of $78,768 in compensation due to the officer under an option granted in 2013 to pay the officer by common stock in lieu of cash at a rate of $0.005 per share. Except the events mentioned above, the Company has evaluated all other subsequent events through April 30, 2018, the date these financial statements were issued, and determined that there were no other material subsequent event or transaction that require recognition or disclosures in the financial statements.